You'll be hard-pressed to find a better sonic performer at this price-point. I was mightily impressed by the performance of Q Acoustics' M2 sound base. As a follow-up act, the manufacturer sent me its entry-level M3 soundbar. The M3 shares the same pedigree and it, too delivers a phenomenal sonic performance that will satisfy even demanding audiophiles and cineastes working with modest budgets. The M3 is a sleek, smartly designed speaker that can rest on a piece of furniture or mount to the wall. The integrated metal stand performs double-duty for both installations, requiring no special hardware should you choose to hang it. While most soundbars are rectangular or cylindrical, the Q Acoustics M3 has a sculpted and tapered design that makes the M3 a superb design accent to any television. Front view of the Q Acoustics M3 soundbar. The M3 sports a 100x150mm dual voice coil subwoofer to support the low end, and 58mm balanced mode radiator drivers to handle the midrange and high frequencies. While the driver specs are the same as the Q Acoustics M2, I found that the M3 had more punch and dynamics than the M2 in my room and setup. Unpacking and getting the M3 playing took just a few minutes. I connected it to my TV via HDMI and to my Oppo UDP-203 Ultra HD Blu-ray player via Toslink optical. I placed the M3 on a table in front of my HDTV in exactly the same location where I had tested out the M2. You’ll find there are lots of similarities between the M2's and M3's feature set. I would point you to my review of the M2 since many of the features, functions, and accessories are identical. The M3 sports audio inputs via HDMI ARC, Toslink optical, Bluetooth, and two analog audio inputs. 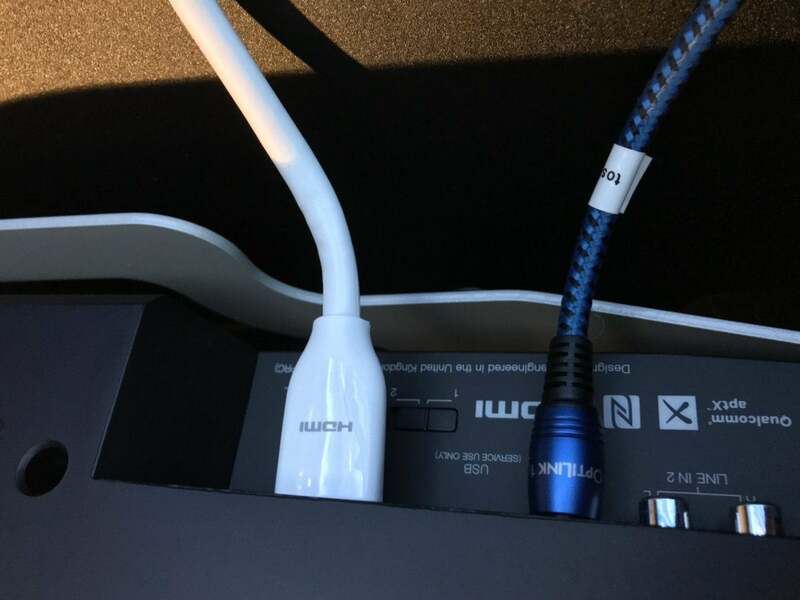 Just note that in order to use the HDMI audio return channel (ARC), which sends audio back from your TV to the soundbar, you typically need to activate HDMI CEC on your TV. The M3 automates lots of simple tasks. That's a good thing because I didn't like using the remote control. The half-credit card sized remote is cheap and very difficult to make out in dim lighting environments. The circular buttons are all the same size and shape in a vertical array. If you have the lights turned down while watching any TV programming, you'll need to memorize each button's function and then orient yourself by counting the number of buttons with your finger. While this type of remote is unfortunately typical at this price point, consumers should still be getting a better value. Poor remote control aside, Q Acoustics calls the M3's preamp features IPA for intelligent pre-amplifier. The M3's IPA will automatically switch to an active audio source. When two sources are active at the same time, the M3 prioritizes certain inputs over others. That's pretty smart. HDMI, Toslink, and Bluetooth take precedence in that order, while the two analog inputs take the cleanup spots. The M3 is smart enough to know when there is a signal or not. It will power on from standby when it senses a signal, and turn off automatically when a single is no longer present. Not all soundbars do that. 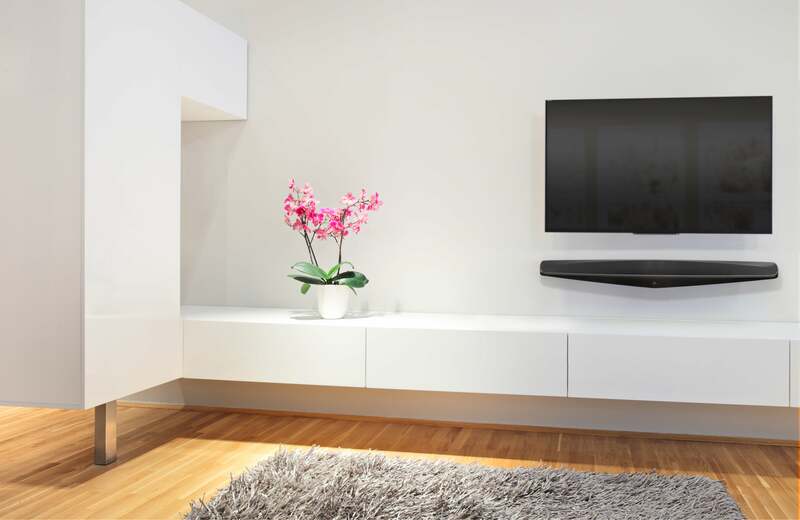 The Q Acoustics M3 soundbar is a beautifully-designed speaker that will accentuate any TV. The M3 has lots of other extremely useful features. The back of the soundbar has an EQ switch that will alter its frequency response for different room placement options. The EQ's effect is noticeable and will tame boomy bass or muddy midrange response should you place the soundbar inside a cabinet. There is also a lip-sync delay feature that will allow you to synchronize the audio to your video source should the two get out of sync. While most consumers will never need to use it, it's comforting to know that this level of attention and practical functionality has been taken into account. The M3’s standby button glows a different color depending on which input you have selected. The only problem with this design is that if you have the soundbar sitting on a cabinet, you can’t see the color, so you don’t know which input you’ve selected. If you're connecting your TV to the soundbar via HDMI, I will caution you to use a flexible HDMI cable. The space between the back of the soundbar and the bracket/base isn’t that generous. The 18Gbps certified HDMI cable I used was too stiff and started to apply too sharp of a bend radius for my taste. I ultimately swapped it out with another cable to get it to fit properly. Most consumer HDMI cables these days should work just fine. If you're using thick cables, consider getting a flexible HDMI port saver ($4.99 and up at Amazon) for that connection. Make sure you use a flexible HDMI cable. The HDMI port location put a strain on my thicker HDMI cables. The M3 does not support Wi-Fi or multi-room streaming, but it does support Bluetooth, and it's one of the few soundbars at this price point that offers support for both the AAC and aptX codecs, the latter of which promises to deliver near-CD-quality streaming over Bluetooth. The M3 supports Bluetooth pairing via near-field communications (NFC). By tapping an NFC-compliant Bluetooth device to the appropriate spot on the top of the M3, it will instantly pair the two devices. 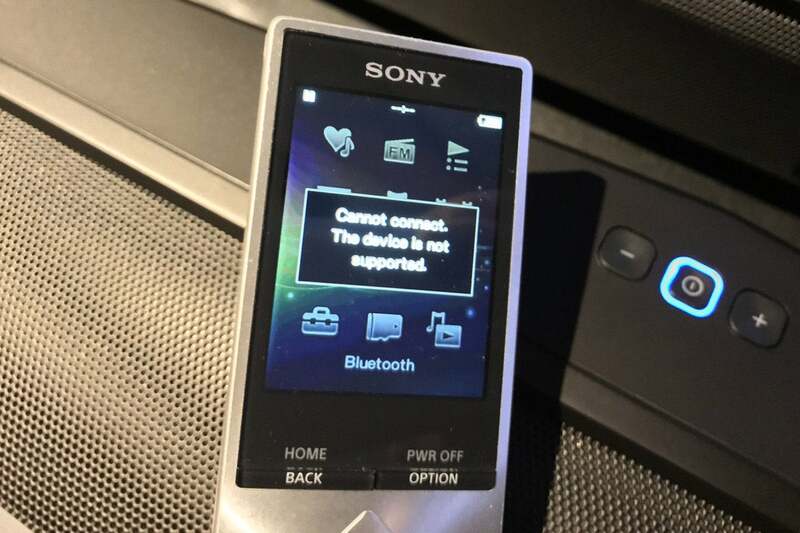 Unfortunately, I didn’t have success pairing my Sony Hi-Res digital audio player via NFC to either the M2 or M3. In both instances, the Sony told me that the device was not supported. I had no problems pairing the M3 manually via Bluetooth to my iPhone 7. I didn't have success pairing the M3 via NFC with my Sony Hi-Res DAP. I had no problem pairing my iPhone 7 via Bluetooth. I was absolutely blown away by the outstanding audio quality of the M3 soundbar. Dialog was always crisp, clear, and highly intelligible. The M3 doesn’t come with any dialog-enhancement features and doesn’t need it. I’ve consistently found that these features in other soundbars introduce an unnatural sound to the audio track that quickly becomes fatiguing to listen to. Playing Rogue One: A Star Wars Story, dialog was never muddy or difficult to make out. The M3’s audio was always natural and dynamic. Speaking of dynamic, this soundbar exhibited excellent dynamics and energy, bringing movies to life. Bass response was surprisingly good for a system without a discrete subwoofer. 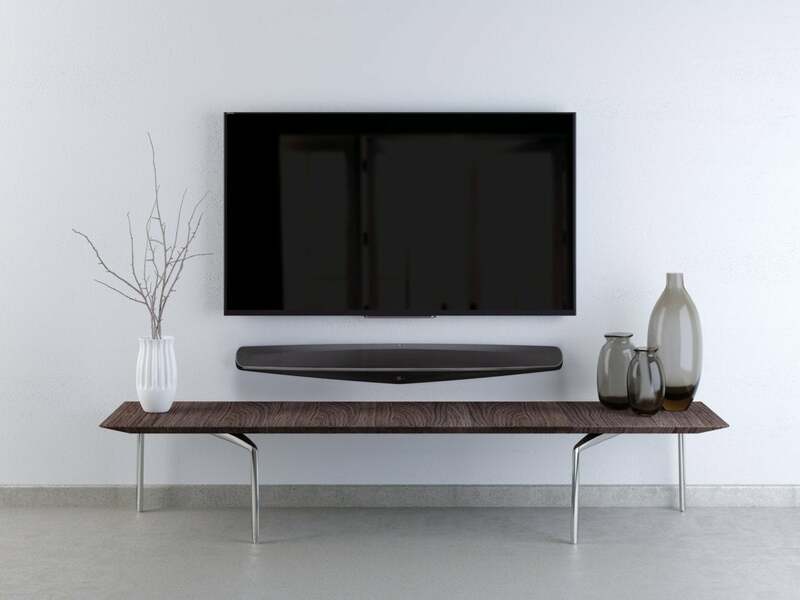 The M3 soundbar can rest atop a table or inside a cabinet. The Q Acoustics M3 filled my 13- by 24-foot basement theater space with ease. Even at high volumes, the M3 didn’t reveal any hints of distortion or strain. Other soundbars near this price point have struggled. For example, playing Rogue One: A Star Wars Story, the X-Wing attack on Jedha came across with full impact at high volume. When the rebels free Jyn from the Imperial transport, an explosion and blasters shots ring out. Other soundbars I've tested reduce the dynamic range, muting the audio excitement this scene's track is capable of delivering. Not so with the M3. There wasn't any point in my review where I felt that the M3 fell short. It was a consistently solid performer. I really fell in love with the Q Acoustics M3. It sounds simply superb. it's an intoxicating, exhilarating product that will elevate your emotional involvement in whatever program you're watching. And, the M3 comes in at a very reasonable price point. 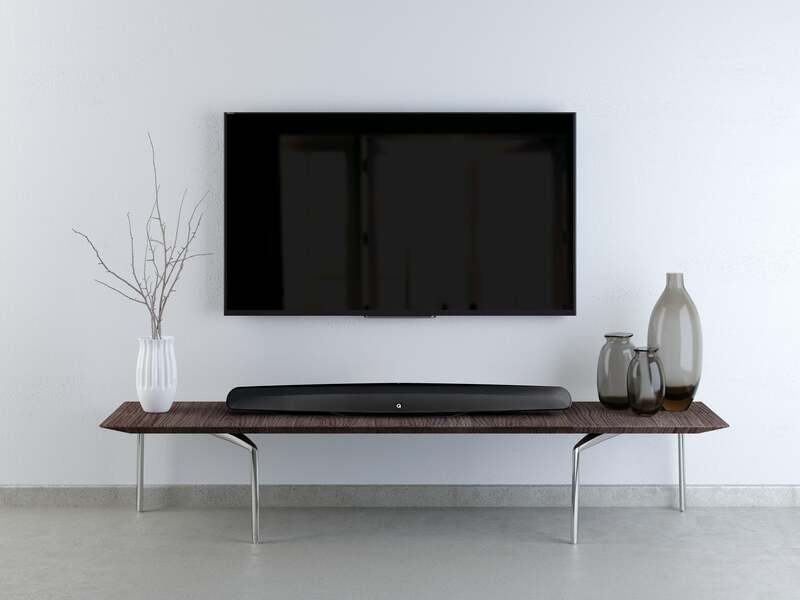 If you’re looking for a serious sonic upgrade to your current TV that will satisfy the most demanding critics, the Q Acoustics M3 deserves your serious attention. It's earned my strong recommendation.